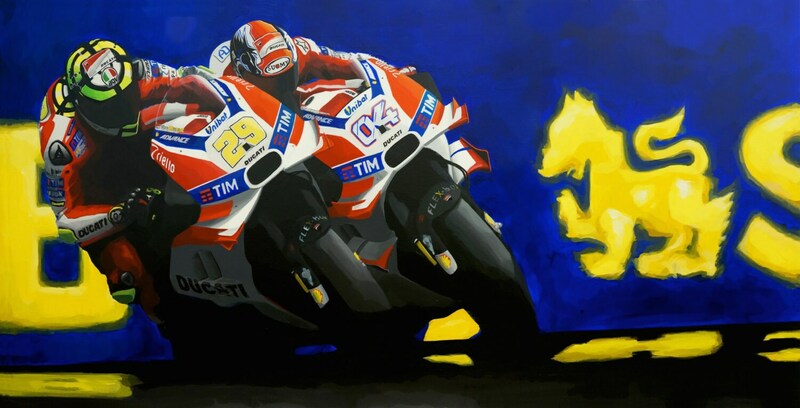 The artist's original acrylic-on-canvas 24" x 48" painting depicts Dovizioso and Iannone in close-quarters combat. 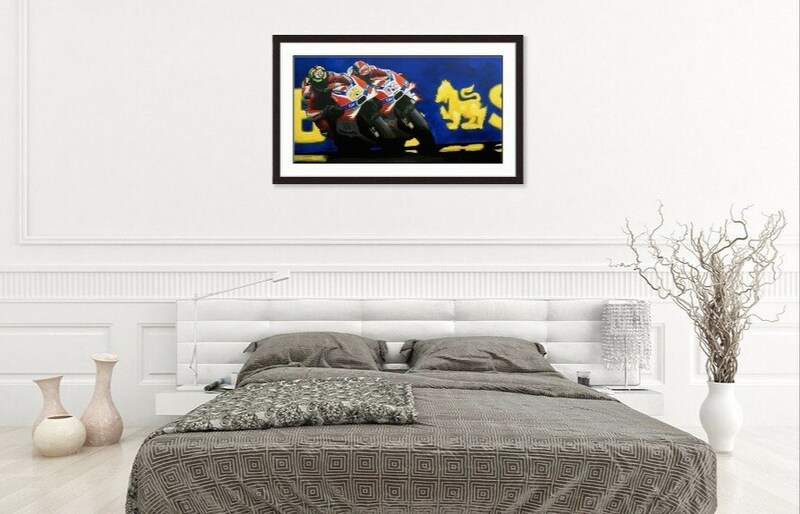 Their rivalry on the track throughout the season was fraught with tension and contact, and MotoGP Austria was no different (except this time both finished the race). In many ways this one single moment in time summarizes an entire season of contention.